Volunteers Needed at the SLEE Dinner! 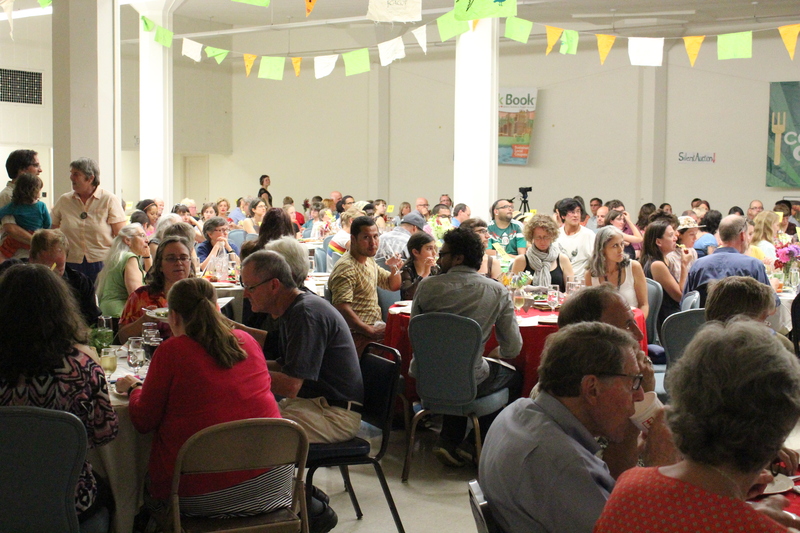 Volunteer for CAGJ’s SLEE– Strengthening Local Economies Everywhere- Dinner taking place on July 9th! Volunteer power makes the SLEE dinner possible! Are you are interested in volunteering or helping coordinate the event? Volunteers needed! Last year we had 75 people that helped make the dinner happen. Click here to see pictures of SLEE 2014! CAGJ’s 10th Annual SLEE Dinner will take place on July 9th, 2016 at the University Christian Church. We are very excited to have Anuradha Mittal of The Oakland Institute as our keynote. Anuradha will talk about Decolonizing our Food System: Lessons from Africa. This event is more than just a delicious dinner it is a community gathering in which we aim to raise awareness and educate about how to build healthy food systems as a community-based alternative to corporate-led globalization, make connections across sectors and issues, inspire the community to take action and ensure the long-term sustainability of CAGJ by expanding our membership, developing leadership, and raising significant funds. There is a silent auction and dessert auction as part of the dinner. All items and food for the dinner are donated from local farms and businesses. All funds raised are used for CAGJ’s food justice organizing. There are lots of ways to be involved beforehand and the day-of. Examples include: Getting the word out about the dinner; Securing donations from local businesses and farms; Serving or prepping food at the dinner. Contact Erika at erika@cagj.org if you are interested in volunteering. Come for all day or just for a few hours. No experience needed! Come and help chop! Come for all day or just for a few hours. Help set table and chairs and decorations. Help set-up the Dining room and other spaces, make them beautiful! No experience needed! Come and help chop! Come early to get oriented and start welcoming guests at 5pm when Happy Hour starts. Finish by 7pm, and you can enjoy dinner. Servers- 4pm-10pm (20 people needed) THIS IS WHERE WE NEED THE MOST PEOPLE THE NIGHT OF! No experience needed! No fancy outfit needed either! Come early – at 4pm – for orientation. Stay to help serve dinner– you will have 2 or 3 tables, and will be serving the same platters of food to every table. 2 people needed to help with small group of kids, ages 2 – 11. All hands on deck to clean up after the dinner is over! For more information or to sign up contact volunteer@cagj.org or call 206-405-4600.